Old parkways can be an asset in a more comprehensive mobility package. I’ve just made a run out to Pasadena on the completed Arroyo Seco Parkway…No brazen pedestrians nor kids riding bikes with their arms folded. No cross streets with too-bold or too-timid drivers jutting their radiators into your path. And no wonder I made it from Elysian Park to Broadway and Glenarm Street in Pasadena in 10 minutes without edging over a conservative 45 miles an hour. mess and put it in the freeway museum. That highway has been obsolete for 25 years; it’s dangerous and inadequate. The transition from the 110 north to the I-5 north is one of the worst freeway bottlenecks in the state. By the 1950s, however, the goals of pleasurable driving and visual interest had faded in favor of engineering efficiency and higher capacity. Meantime, parkways like Arroyo Seco, which were originally designed to carry few cars at relatively low speeds, now had to accommodate many more drivers trying to go much faster. The result is that the ten-minute trip of 1941 might take as long as forty minutes today as bottlenecks, traffic accidents, and congestion conspire to delay. The Arroyo Seco Parkway represents the dilemma of urban parkways today: still in use, it is fraught with problems due to the disjuncture between its original conception as a bucolic roadway for recreational driving and its current incarnation as a major corridor in a freeway-centered transportation system. 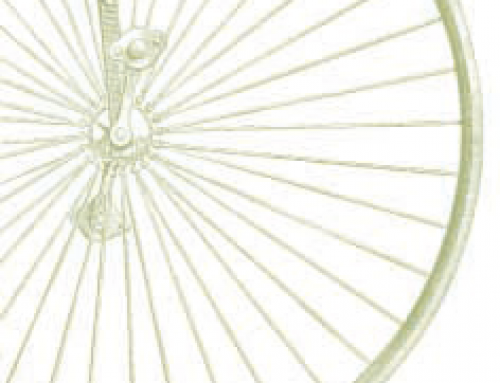 Given the challenges of modern traffic engineering, it is important to ask whether there is a new vision for urban parkways and whether they can be reclaimed as successful models of transportation infrastructure. The term parkway connoted a strip of land of varying width containing a roadway within park-like or landscaped surroundings. Roads curved gently, requiring slower speeds than today’s highways, and abutting property owners had no direct access rights. The first use of the name parkway in the US preceded the automobile. Frederick Law Olmsted and Calvert Vaux, in an 1866 report to the Board of Commissioners of Prospect Park in Brooklyn, New York, recommended a “parkway” in the park plans. Inspired by the celebrated boulevards of Paris and Berlin, Olmsted and Vaux viewed parkways as pleasant tree-lined roads for horse-drawn carriages. Parkways designed by Olmsted and Vaux were built in Boston and in New York’s Central Park. Other landscaped boulevards were built in eastern cities; then the growing numbers of automobiles revived the need for specialized roadways. The first for automobiles was the Bronx River Parkway in Westchester County, New York, completed in 1923. Its great success led to more roads like it, most notably in New York City under the watch of Robert Moses. In the 1930s, the modern parkway movement expanded out of New York with construction of several federal parkways including Skyline Drive in Virginia, Blue Ridge Parkway in North Carolina and Tennessee, and Merritt Parkway in Connecticut. During the same decade Los Angeles planners envisioned “greenbelts across the city”—parkways responsive to the region’s increasing traffic that also encouraged highway recreation and sightseeing. 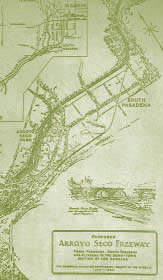 These ideas were elaborated in Frederick Olmsted Jr. and Harlan Bartholomew’s 1930 report for the Los Angeles Chamber of Commerce linking parkway development with opportunities to create open spaces and parklands. Following a series of debates regarding feasibility, finances, and transportation and land use goals, the “first freeway of the west,” the celebrated Arroyo Seco Parkway, broke ground in 1938. Parkway concepts incorporated the goals of pleasure driving and efficiency (moving large numbers of cars at continuous speed). A serpentine roadway adjusted to topography and offering views and vistas of both immediate and more distant landscapes created a pleasurable driving experience. 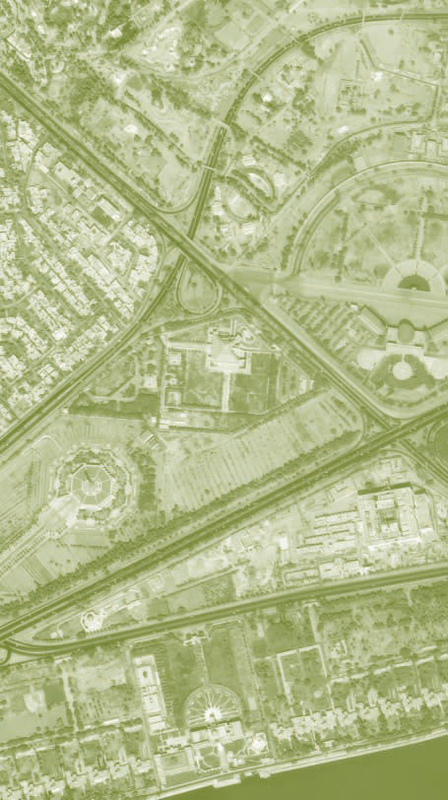 In urban areas, considerable grading and planting achieved a park-like effect. Landscaping framed views and provided a reminder of nature along a carefully selected route. 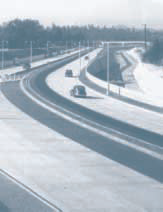 To ensure an efficient flow of traffic, parkways introduced the concept of controlled access. 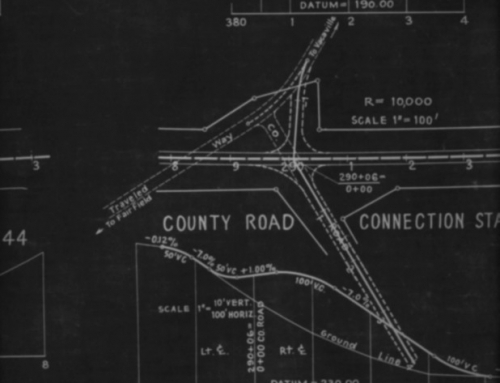 Access from abutting properties was denied, traffic lights were eliminated, and crossings and left turns were prohibited. Grades were separated where parkways crossed other roads. Roadways were divided by wide median strips, and lanes were wide compared to other roads of the day. They were designed for passenger cars traveling at speeds ranging from 25 to 45 miles per hour. Higher speeds were not a goal; rather, uninterrupted traffic flow would bring efficiency and time savings. Parkway design in the early 20th century was described as bioengineering— a marriage of architecture, landscaping, and civil engineering in three-dimensional design. But times were changing fast. The goal of efficiency came to overshadow that of aesthetic delight as multilane freeway systems moving people and goods at high speeds were superimposed over the land with little or no attention to aesthetics, scenic pleasure, community values, or environmental effects. Parkways became products of a bygone era and lost favor among traffic engineers. Adjusting existing parkways to the freeway era has been a bumpy road at best, as they are now called upon to carry more vehicles moving at higher speeds for purposes like commuting and transporting goods rather than pleasure driving. 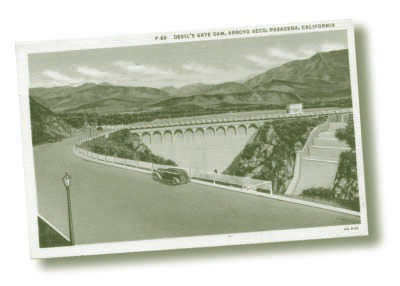 Arroyo Seco Parkway was the first grade-separated, limited-access divided road in the west. Built in three major stages from 1938 to 1953, the 8.2-mile parkway connected downtown Los Angeles to Pasadena (Figure 1). The first segment of Arroyo Seco Parkway, completed in 1939, cost less than $1,000,000 per mile, which, according to then District Engineer S.V. 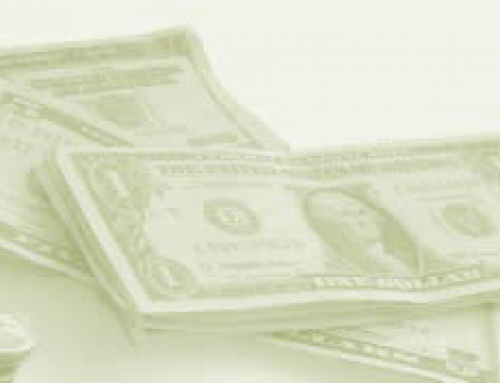 Cortelyou, was “exceptionally low for a freeway of its character.” This amount paid for building the Arroyo Seco flood-control channel as well as all the bridge structures, railroad relocations, utility reconstruction, and landscaping. For the parkway embankments, engineers saved money by using hundreds of thousands of cubic yards of material excavated from the Arroyo Seco Channel by the WPA and from the Los Angeles River by federal district engineers. To reduce the possibility of head-on collisions, engineers designed a six-foot median strip and planted it with shrubbery to shield drivers from the headlight glare of oncoming traffic. Fences lined the road to separate traffic from nearby properties and to keep children and animals away. The parkway’s traffic lanes were eleven feet wide, which by today’s standards are narrow, but were wider than the lanes of contemporary arterials. To encourage drivers to stay in their lane, engineers used different colors of concrete for adjacent lanes. Other safety features included special lighting at all on-ramps and off-ramps, warning and directional signals, and red reflectors installed in curbs. A 1945 study pointed to these safety features to explain the remarkably low ratio of traffic accidents on the parkway compared to other major highways with comparable traffic volumes. Consistent with the dictums of parkway planning, Arroyo Seco Parkway offered driving pleasure to motorists by providing views of the surroundings. Existing parklands were enhanced by approximately 4,000 plants of various species, selected and placed so that, according to the District Engineer, “a brilliant showing of color would be maintained throughout the year.” A program of roadside beautification eliminated billboards, advertisements, and other objects of commercial blight. To enhance the ride’s aesthetic pleasure, engineers adjusted the road’s contours to fit the landscape and installed rustic rails on rubble parapet walls and decorative wooden railings along on- and off-ramps. 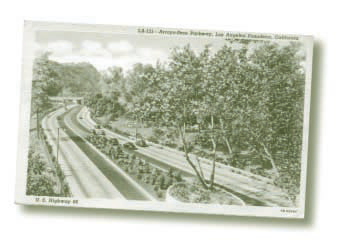 In the 1940s, Arroyo Seco Parkway was viewed as a model for roadway design. Sixty years later it is plagued by problems. Originally built to accommodate 27,000 automobiles per day at 45 mph, the parkway today carries daily traffic of over 130,000 cars (at its southern end) often at speeds exceeding the official limit of 55 mph. Average daily traffic has increased consistently since it opened. Congestion clogs the road during many times of the day and evening, not just peak hours. Traffic builds continuously heading south, with a peak of 8,000 cars per hour in the middle of the parkway and about 14,000 cars per hour where it intersects with Interstate 5 (Figure 1). The parkway has only three lanes on each side. Given high vehicle volumes, high speeds, and high accident rates, bottlenecks are a daily occurrence on this main thoroughfare connecting Pasadena to downtown Los Angeles. Today the parkway is probably the most unsafe route in the region, according to reported accident rates (Figure 2). Fast driving along its tight curves often results in collisions. A serious safety issue concerns short on- and off-ramps, where motorists must accelerate or brake quickly due to the lack of merge lanes. The percentage of total accidents on the parkway is greatest near ramps (Figure 3). Visual delight is certainly greater along this parkway than on other freeways in the region, yet some original intentions have been compromised or abandoned. Concrete median barriers have replaced the older guardrail. Overgrown and untrimmed plants and misplaced bushes and trees have hidden some of the best views of the hillsides. Chain-link fences, barbed wire, and metal guardrails have replaced much of the rustic wooden fencing. On certain segments, sound walls hinder views. Sixty years after its creation, the parkway is filled with bumper-to-bumper traffic and has become an unsafe and unpleasant place to drive. Is it possible to find a remedy? By the early 1990s, community concerns about congestion, high accident rates, and deteriorating aesthetics were bubbling over. A community task force joined officials from the California Department of Transportation to study strategies for reducing accident rates and enhancing visual quality. Caltrans officials had previously explored re-engineering the roadway and its on- and off-ramps to make the original parkway function more like a high-speed freeway, but they found those ideas blocked by several factors, including legislation that protected adjacent parklands. The community task force sought to focus attention on two core strategies: 1) achieving official historic status and making the landscape consistent with the original parkway concept; and 2) calming traffic by reducing the speed limit to its original 45 mph, thus helping decrease accidents and ultimately relieve congestion. 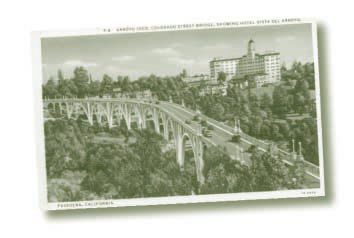 The efforts of the task force led to designation of the Arroyo Seco Parkway as an American Civil Engineering Landmark and as a National Scenic Byway. At the same time community advocates and residents refocused attention on congestion, accidents, speed limits, and other operational issues. An Arroyo Seco Collaborative was formed in 2000; plans for an unprecedented event called ArroyoFest, involving a walk and bike ride on the Pasadena Freeway scheduled for June 2003, could bring renewed attention to those matters. The ArroyoFest collaborators are working towards a broad approach to transportation in the Arroyo Seco corridor that includes light rail, expanded bus service, commuter bikeways, and pedestrian walkways. At the same time, ArroyoFest promises to bring attention to the original parkway concept and its potential role in 21st-century transportation and land use planning. Rising community interest in Arroyo Seco Parkway prompts us to reconsider the relevance of other parkways today. In the mid-20th century the emphasis on aesthetics and pleasure driving was sacrificed for the promise of efficiency and speed that freeways seemed to offer. But fifty years later the freeway system is congested. Communities want to keep new freeways out of their neighborhoods and in many places have effectively stopped their expansion. At the same time, debates over parkways and freeways have come full circle. The emphasis on efficiency, volume, speed, and the predominance of single-driver automobiles is giving way to an increasing interest in multi-modal transportation, traffic calming, and a broader set of community, aesthetic, historical, and environmental objectives. Existing urban parkways such as Arroyo Seco in Los Angeles or State Route 163 in San Diego can be seen as assets rather than liabilities if considered as one piece of an integrated transportation network. Parallel roads, light rail, busways, and bikeways can all help ease traffic along the parkways. To reduce accidents, speed limits should be reduced to their original 45 mph—a change that will add only two extra minutes to the ride from Pasadena to the I-5 intersection. The lower speed limit is more appropriate for the narrow, curved parkway lanes and allows entering cars to merge more easily into parkway traffic. Motorists would consider parkways as assets if their compromised aesthetics were restored and if emphasis were again placed on making the drive pleasurable. Restoration of design and landscaping features, bridges and overpasses, guardrails, signs, light fixtures, and trees would give back the roadway’s human scale. 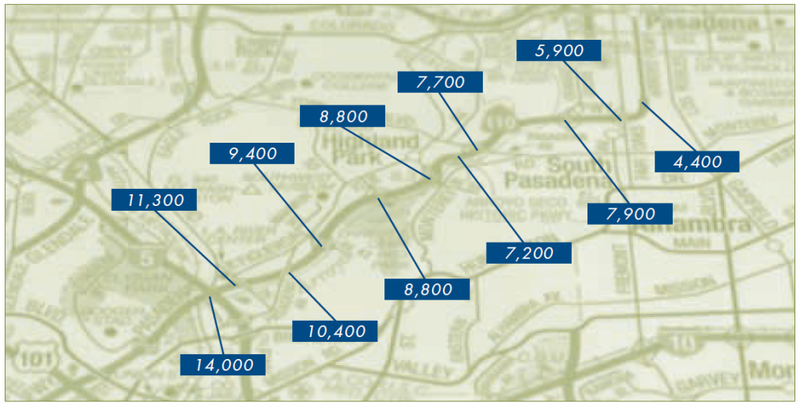 Community activism and interest in re-envisioning Arroyo Seco Parkway suggest that parkways are valued by adjacent communities if they can be connectors rather than separators of neighborhoods. Modern freeways typically exclude neighboring urban areas, arrogantly soaring over the city or diving below it. In the process they hide and separate neighborhoods with miles of concrete walls. In contrast, the border between parkway and city is soft, consisting of trees, vegetation, and parkland, allowing the motorist wide vistas and an appreciation of the surroundings. This more sympathetic approach to urban context makes today’s parkways more palatable to communities than freeways and encourages integration of new neighborhood parks and playgrounds into the landscape plans. Ultimately, we see a future for urban parkways if transportation planners would stop treating them as if they were freeways. Parkways were built for specific traffic capacities and speeds, and planners should consider this an asset. The lessons from Arroyo Seco can ultimately help turn a “dangerous and inadequate” relic into a more supple and appealing transportation facility. They can indeed put pleasure back in the drive and connect rather than separate communities they pass through. David Brodsly. 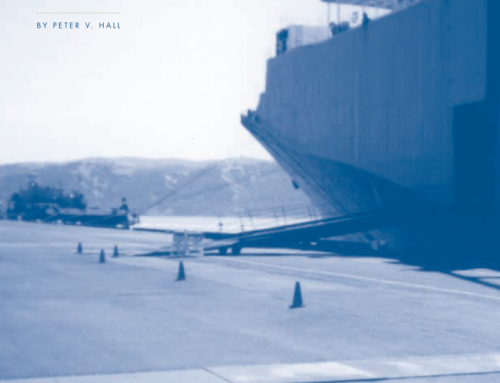 LA Freeway: An Appreciative Essay (Berkeley, CA: University of California Press, 1981). Historical American Engineering Record. Arroyo Seco Parkway, No. CA-265. 1999. Greg Hise and William Deverell. Eden by Design: The 1930 Olmsted-Bartholomew Plan for the Los Angeles Region (Berkeley, CA: University of California Press, 2000). Alan Jacobs, Elizabeth MacDonald, and Yodan Rofé. 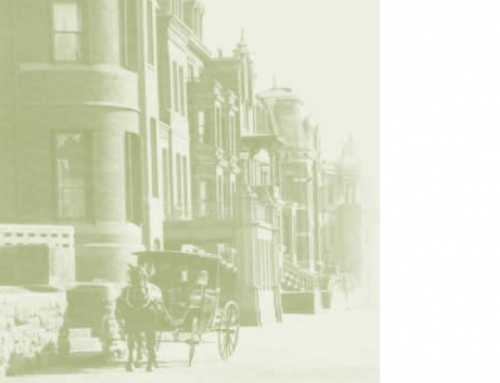 The Boulevard Book (Cambridge, MA: The MIT Press, 2002). Norman T. Newton. Design on the Land (Cambridge, MA: Harvard University Press, 1971).